Developing Individuals. Inspiring Teams. Transforming Organizations. In January 2016, Dr. Bernard launched a second company, The Assessment Institute™. Since 2002, she has earned her stellar reputation by enhancing the performance of every organization she serves. High-energy, entertaining, and educational are words used to describe Valerie’s presentations. Her combination of expertise, humor, and inspiration energizes individuals to take action in both their personal and business lives. Dr. Bernard is a guide who partners with leaders and teams to teach the principles and how “Embracing the Power of Team™” can transforms lives. Bernard inspires big thinking, decisive action, and welcome results, whether she is addressing groups of 12 mastermind team members or convention audiences of 5000. Valerie's leadership workshops deepen understanding about relationships and organizational systems. She is committed to transforming organizational leadership gaps into powerful performance results. 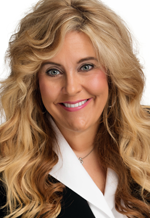 Valerie is described by her clients as engaging, decisive, persuasive, and game changing for their organizations. Valerie is one of today’s leading authorities on utilizing psychometric assessments to build teams. Valerie helps individuals, teams, and organizations tap into untapped resources. Dr. Bernard’s research focuses on the relationship between individual cognitive, behavior, and motivational characteristics and job performance. Valerie is proud to be from West Virginia and a 3-time Marshall University graduate. Currently, Valerie resides in Dallas, Texas, with her daughter, Darby.